Stuck In The Buckosphere: Let it snow, let it snow! Here is the Tuesday morning update to the Winter Storm Watch/Warnings for Ohio. 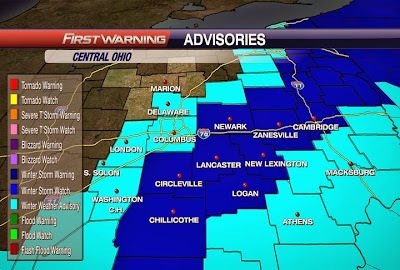 The NWS finally all got on the same page, but I am a little surprised that some of the farther SE Ohio Counties are not part of the Warning. Here are my latest thoughts on how much we will see. 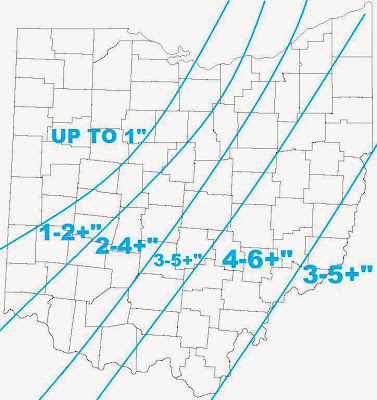 The heaviest band of snow will start in South Central Ohio and move up towards Youngstown. Generally 4-6" in this swath, so the shift that I mentioned last night is quite clear comparing it to yesterday's model runs. This does pug Columbus in the 2-4" range. 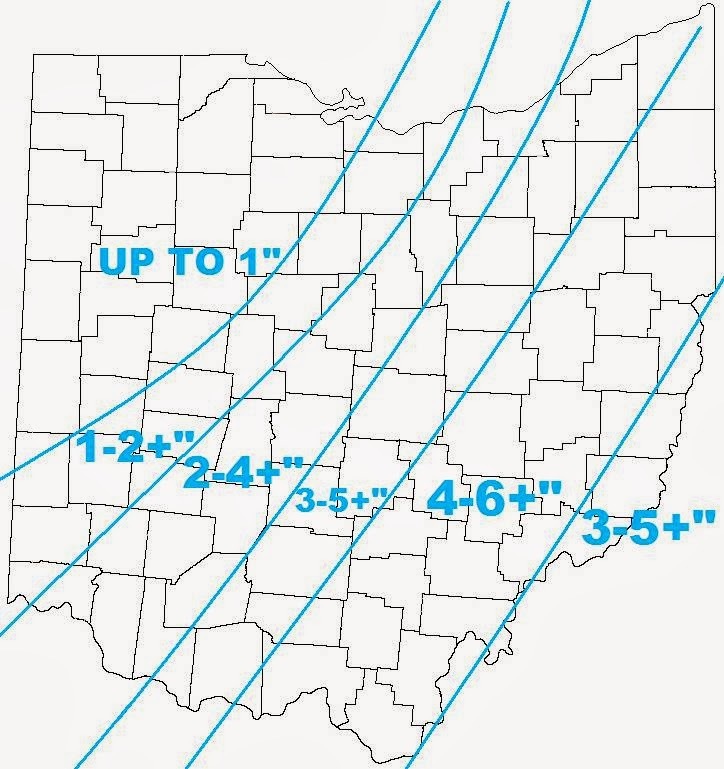 I kept the + in because this system will track fast and if a localized spot happens to see the heavy handing of snow, it is very likely to exceed the top of the range. The National radar shows all the moisture down South with the low pressure centered just south of New Orleans currently. 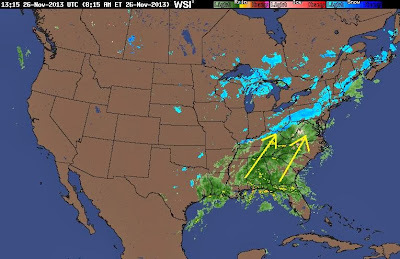 As the moisture pushes into the cold air from the cold front that is moving through Central Ohio then it will turn the rain to snow as they collide for Ohio. Days like this are fun to watch on the radar to see who is seeing the heaviest banding of snow. Anyway, be safe out there and have a good one!